Remarkably tender, our fresh-caught lobster tails are bursting with firm, snow-white meat and are flash-frozen to ensure exceptional taste. Enjoy them steamed or broiled with melted butter for a truly classic seaside meal. 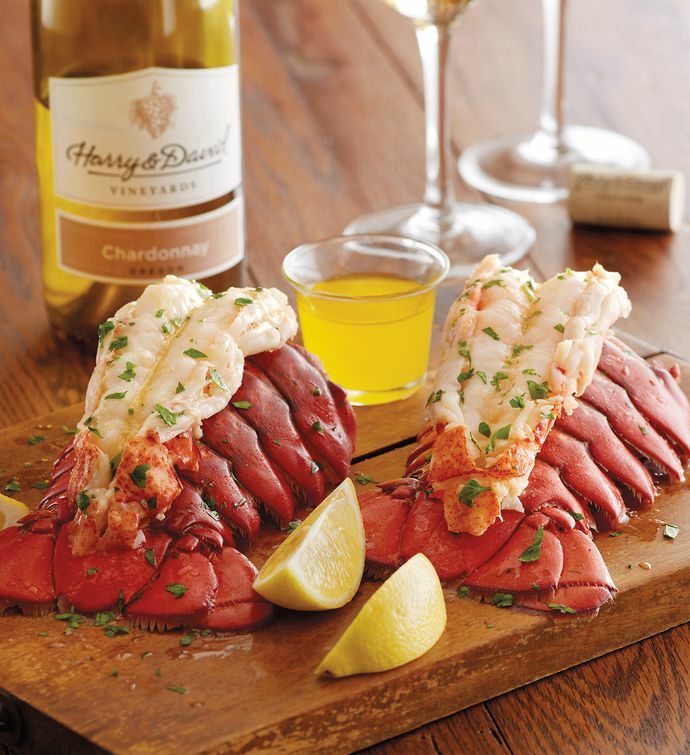 This succulent lobster is accompanied by a bottle of medium-bodied Harry & David™ Chardonnay for an extraordinary flavor combination.